When we told people we were visiting Marbella, we were met with sniggers. Ya know, Marbs has got that rep now. Bling, babes, booze. 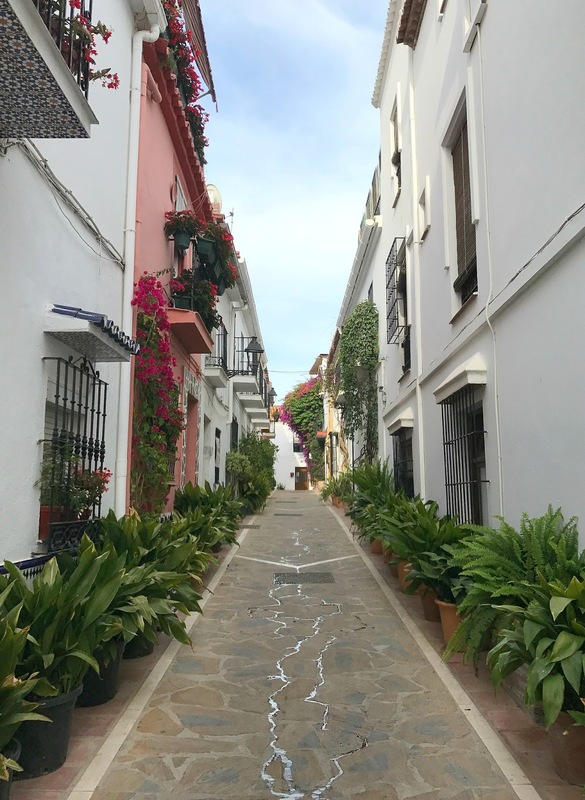 But when we were organising our ten days in Southern Spain, we started by looking at a map and saw Marbella was a short drive from our starting point; Malaga airport. Our response? Let's check it out! How bad can it be? To set the scene, we were in Spain for a friend's wedding, with two days to kill beforehand and a week after. So our trip went something like this: Marbella > Wedding (in the hills near Iznájar, FYI) > Granada > Cordoba > Seville. Arriving in Marbella Old Town at around 10pm, we popped our luggage in our hotel and went straight out for a bite to eat and explore. Our first impression? Beautiful! Spanish! Hurrah! As I say, we stayed in the Old Town. This is a short ten minute drive away from the party town Puerto Banús, but feels light years away in terms of atmosphere! Relaxed and pretty yet lively enough to spend a few days here, we loved it. 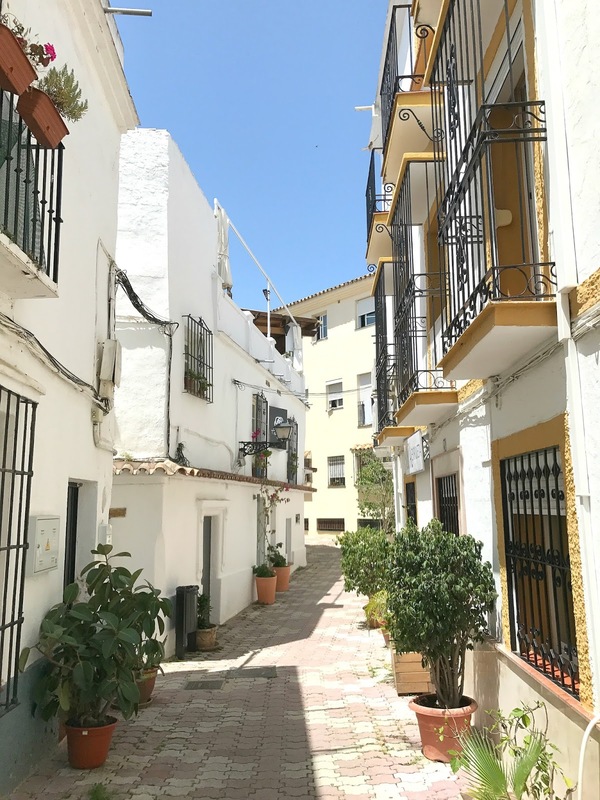 Narrow winding streets lead you to small tapas bars, and with a smattering of churches and the like for a culture fix, it makes the perfect destination for a short Spanish break. We stayed at Hostal Enriqueta, right in the heart of the Old Town, offering basic but comfortable rooms at a fairly good price. Hire a car for cheap and unrestricted exploring; we went with Gold Car and picked ours up at Malaga airport, before driving to Marbella. The roads are fairly easy to navigate, the traffic isn't too hectic and it gives you that freedom to move around as you want to. Be warned, though, parking in Marbella Old Town isn't cheap. We paid €45 for two days! Gulp. 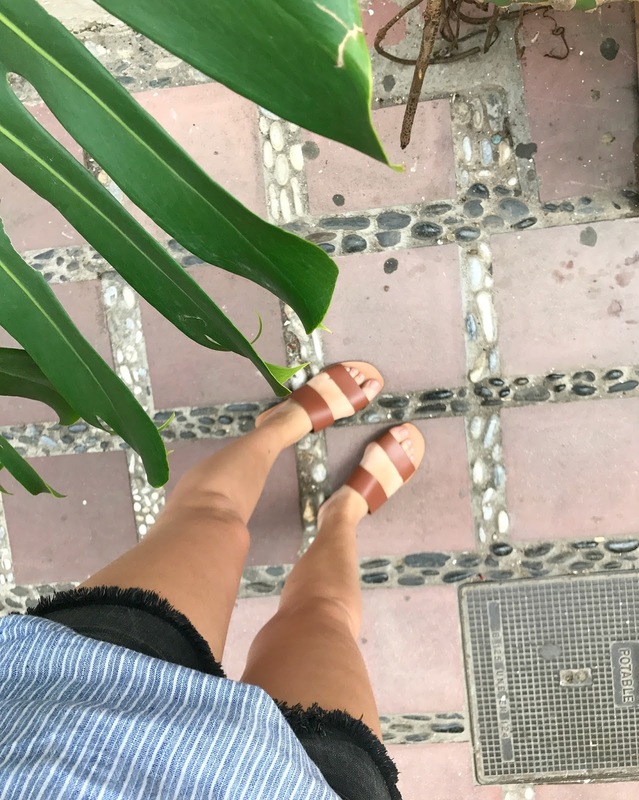 Get your Birkenstocks on (other exploring sandals are available...) and hit the streets for a proper mooch. Follow your nose and check out as many of the winding roads, streets and alleys as you can. Be sure to see the Iglesia Mayor de la Encarnación, visit the Alameda Park, and then take a walk down to the seafront via the Avenida del Mar lined with Dalí sculptures. Arco Tapas Bar - reserve a table outdoors to get a prime spot to watch the world go by! Great tapas, and good wine. Hurrah! El Reloj - the restaurant didn't look great, but they had a 'back bar' along the lane behind the restaurant where we enjoyed a pre-dinner Aperol Spritz with a pretty street view. Niki's Bar - good coffee in a pretty courtyard; the perfect place to get your caffeine fix and start the day slowly. 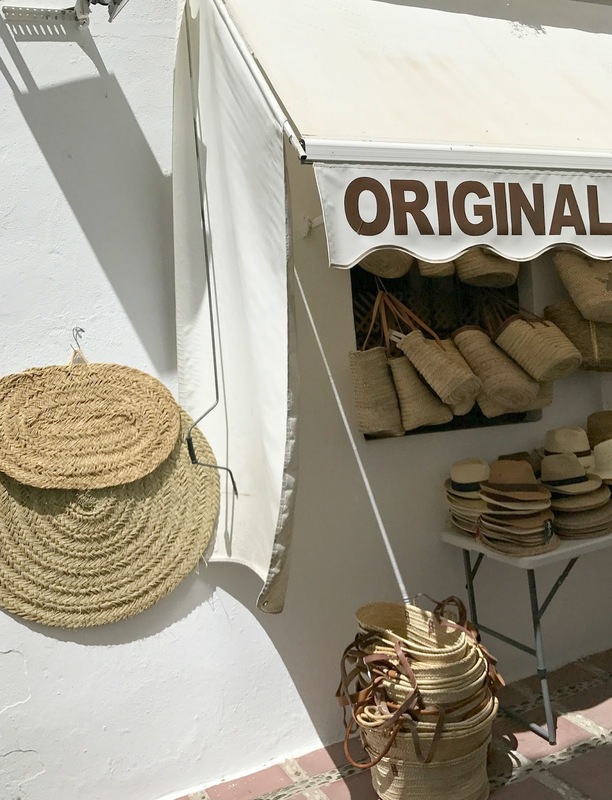 Note: there's a shop right next door run by an old Spanish lady selling straw bags - huge variety and low prices! Plaza de los Naranjos - no specific restaurant as such, but be sure to enjoy a few cervezas in this busy square. Casa Mira - ice cream. 'Nuff said. We absolutely loved Marbella! Maybe it was our low expectations, but it totally blew us away and is somewhere we would definitely re-visit. There is a lull in the afternoon when most shops and many restaurants shut for a siesta, so next time we'd stay somewhere with a pool to make the most of the this down time. There isn't loads to do, but enough to get a little culture, and plenty of places to eat and drink. The perfect mix! Gorgeous photos! You've totally made me reconsider Marbella... I'm just back from Mallorca and had the same type of expectations but it was lovely!